SOUTH LOOP — To eat like Vincent Price was to live. The world's most famous horror film actor was also a serious gourmand and oenophile who wrote the 1965 cookbook, "A Treasury of Great Recipes," filled with recipes he and his wife, Mary, collected from chefs around the world. The book made such an impression on Chicago humorist Christopher Garlington that he started an underground dining club in 2011, cheekily called Eating Vincent Price. He partnered with chef Efrain Cuevas to put on dinners based on recipes from the book at secret venues around town — an old convent here, a chic social club there. But then Cuevas moved to Los Angeles and Garlington hunkered down to write a parenting book, and so Eating Vincent Price was shelved. The actor Vincent Price (in a shot from the 1959 film "House on Haunted Hill) was a gourmand who wrote the revered cookbook "A Treasury of Great Recipes" with his wife Mary. This fall, it's coming back to life. 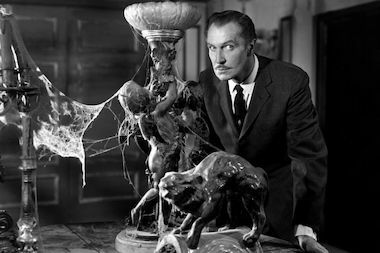 Garlington and Victoria Price, the actor's daughter, have planned an Oct. 6 dinner at the historic Keith House, 1900 S. Prairie Ave., for the return of Eating Vincent Price — and the debut of the Vincent Price Signature Wine Collection. It will be the first in a series of events around the country hosted by Price's daughter to promote the California-made wines and pay homage to her dad and the cookbook, which will be re-released in the fall of 2015 to mark its 50th anniversary. "It's the eighth most popular out-of-print book in America, which is quite a trip," said Price, an interior designer living in Santa Fe. The cookbook was Garlington's gilded security blanket growing up in rural Alabama, a portal to a better, and better-tasting, life. His dad, a master plumber, had bought the book, though he didn't cook. Garlington's daily exercise was to lie on his stomach on the floor, paging through the hefty, padded silk tome. "It's as luxurious as you can imagine a book could be," said Garlington, 50, of Edgebrook, who inherited it after his dad's death. When he started Eating Vincent Price, he said he was mostly acting on an idea for another potential book. 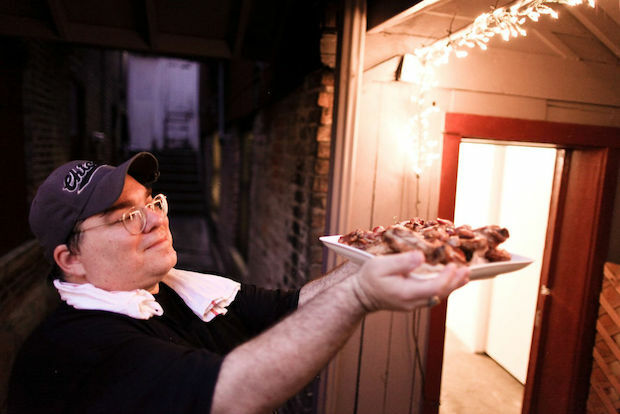 In addition to his parenting book "Death By Children," Garlington co-wrote "A Beat Cop's Guide to Chicago Eats." Price said she is aware of fan clubs and dinners in other cities and countries, but until now has never taken part in one. She had read about Garlington's dinner series online. Early this year, she e-mailed him saying she would be in Chicago in March and inviting him to dinner at the Pump Room. He said yes, of course, and brought with him his wife as well as Lauren Parton, a mixologist and chef de cuisine of Eating Vincent Price. "She is just a charming, wonderful person to talk to," Garlington said of Price. "She could've been a total celebrity jerk." "I love his concept," Price said. "My dad in his heart was a populist and he wanted to do things that brought joy to people's lives and that would improve their lives. That was a big part of what he did with the book, so the idea that people still love this book and want to be a part of its history is incredible." Wine also figured prominently in the actor's off-screen pursuits, his daughter said. He was the first spokesman for The Wine Institute, a California advocacy group. Though Price herself does not drink, "I always appreciated that my father believed it was a really important part of dining," she said. The Vincent Price Signature wines are inspired by the poetry of Edgar Allen Poe — Lenore Chardonnay, Raven Cabernet, Prospera Pinot Noir and Bartolome Red Blend. Price commissioned three artists to make the collectible labels. The wines will be sold online and in some restaurants starting in the fall, she said. Her multi-city wine tour includes stops in Georgia, Missouri, New Mexico, Virginia and California. An Oct. 30 dinner at the James Beard House in New York will feature chef Francesco Palmieri of The Orange Squirrel in Bloomfield, N.J. The Beard website will list more details on the dinner in September, a spokeswoman said. Price and Garlington have discussed the possibility of a traveling dinner series tied to the new edition of the cookbook, for which Garlington wrote the preface. "I'm ridiculously overjoyed at that," he said. This whole experience still might be fodder for his next book, he said. The Chicago dinner is limited to 50 people. Tickets are $125, which includes four courses paired with the Vincent Price wines. Tickets are on sale on the Eating Vincent Price site.